We just got back to Harsen's Island from the mainland and points both north and south. 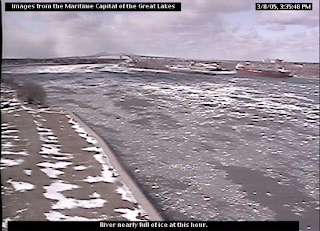 Ice is flowing on the North Channel, about 3/10 to 5/10 coverage at the ferry. The ferry is running on schedule. 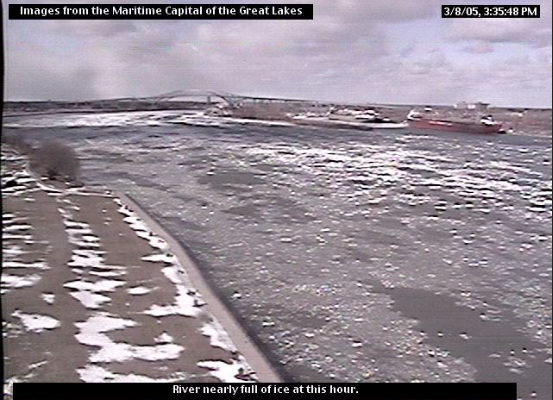 On the South Channel, there is about 6/10 to 9/10 flowing coverage. The same goes for the Middle Channel. Packy is at the helm on the "Middle Channel" ferry at Champion's Auto Ferry until 10pm tonight, and promised an update before dark, so check back with us later for the update.